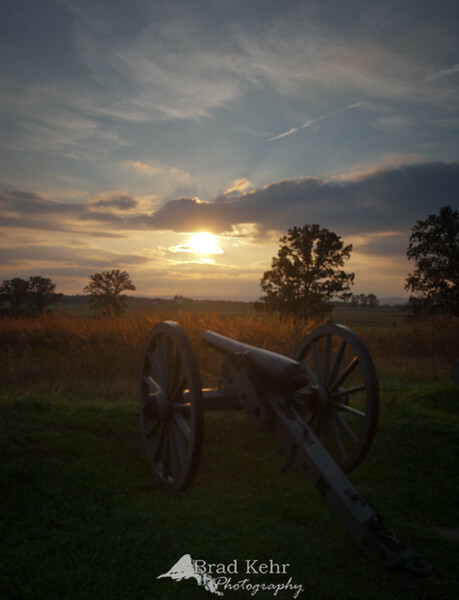 Gettysburg National Battlefield at sunset - Gettysburg, Pennsylvania. Very appealing composition and really like the 'quiet' lighting! There is just something that catches your eye very nice pic. The setting sun really makes this view! Well done!